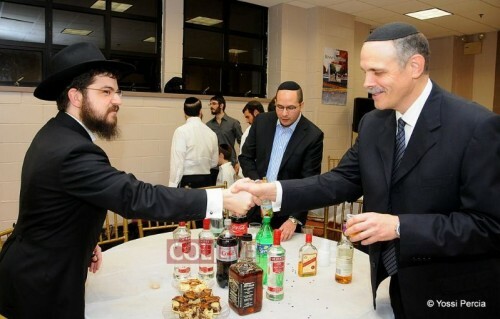 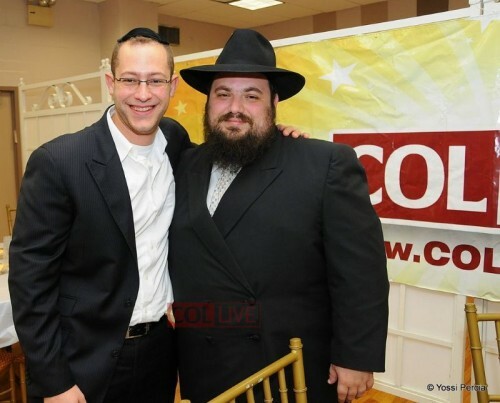 Dozens of the Jewish music industry attended Motzoei Shabbos Benny Friedman’s album launch kumsitz party in Crown Heights, hosted by COLlive.com. 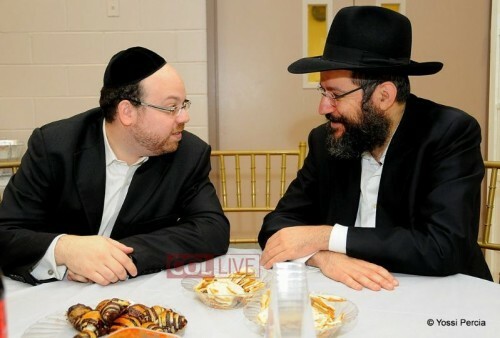 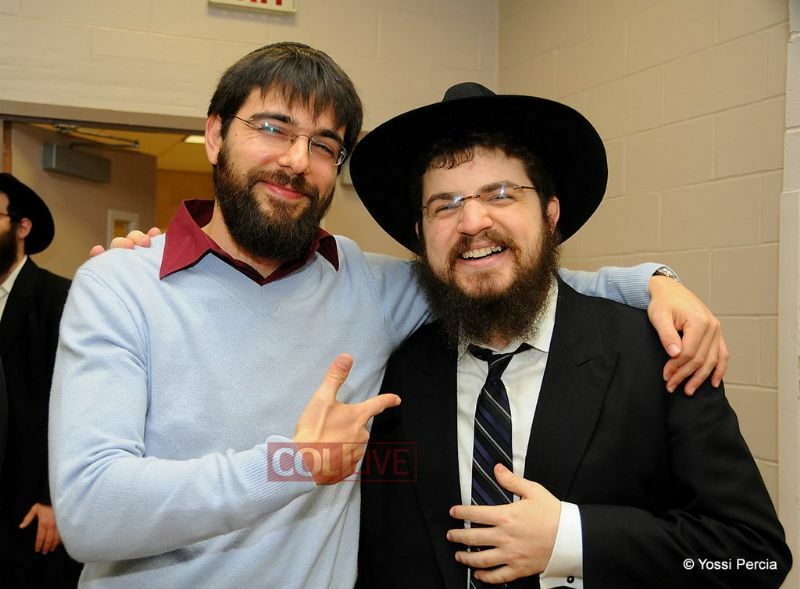 Up-and-coming Chassidic singer Benny Friedman has celebrated the release of his debut album at a Melave Malka in Crown Heights, hosted by COLlive.com. 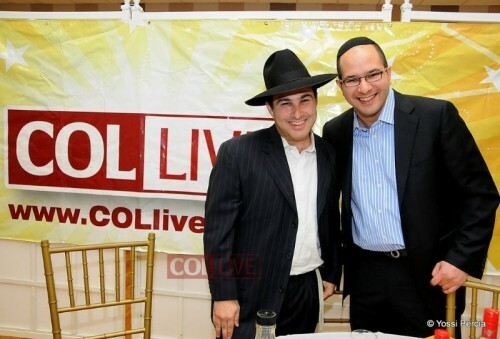 Friedman and COLlive staff greeted the dozens of members of the Jewish music industry at the Lubavitch Yeshiva simcha hall on Motzei Shabbos. 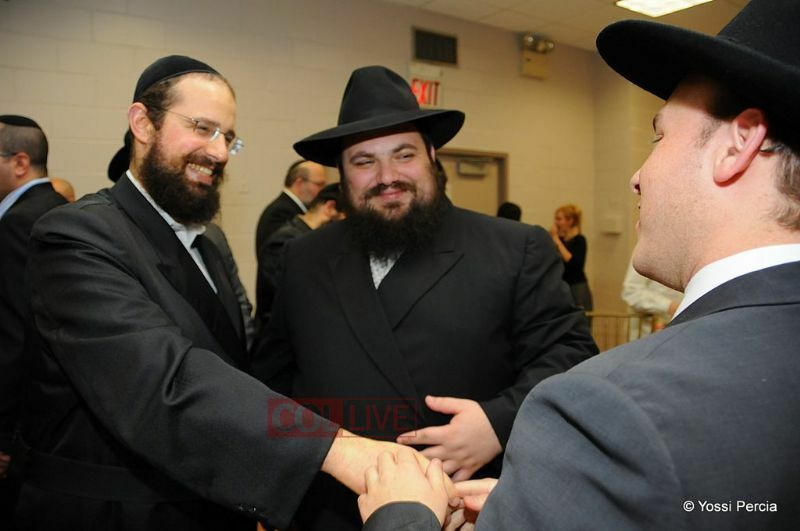 Yehuda Piamenta, Yisroel Werdyger , Shloime Taussig, Yossi Goldstein, Dovid Stein, Yoni Zeigelbaum and other singers were on hand to congratulate. 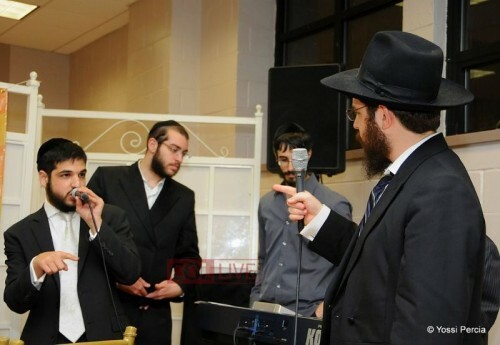 Accompanied by Fitche Benshimon, Benny sang some of the CD’s new tracks, which led to a kumsitz style gathering and dancing. 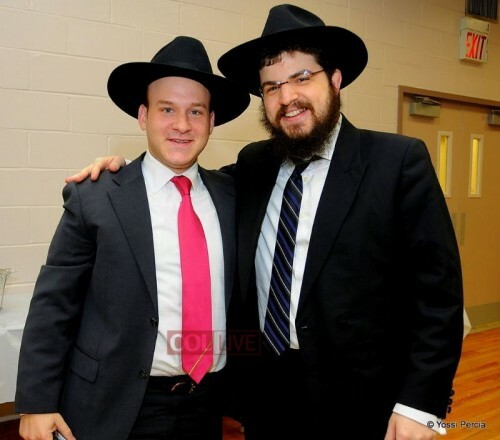 Child soloist Ami Eller sang a beautiful duet with Benny. 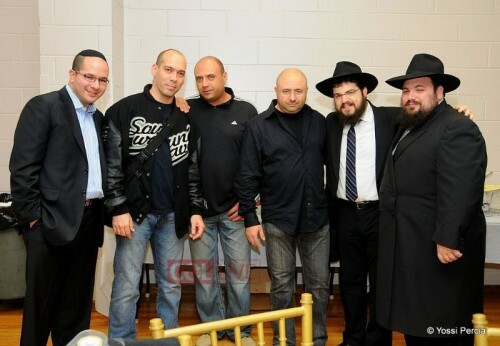 Also present were Benny’s marketing manager Sruly Meyer, Benny’s producer and manager Avi Newmark, and the CD’s composers Elimelech Blumstein, Yitzy Spinner and Bentzy Marcus and JI’s own Yossi Zweig. 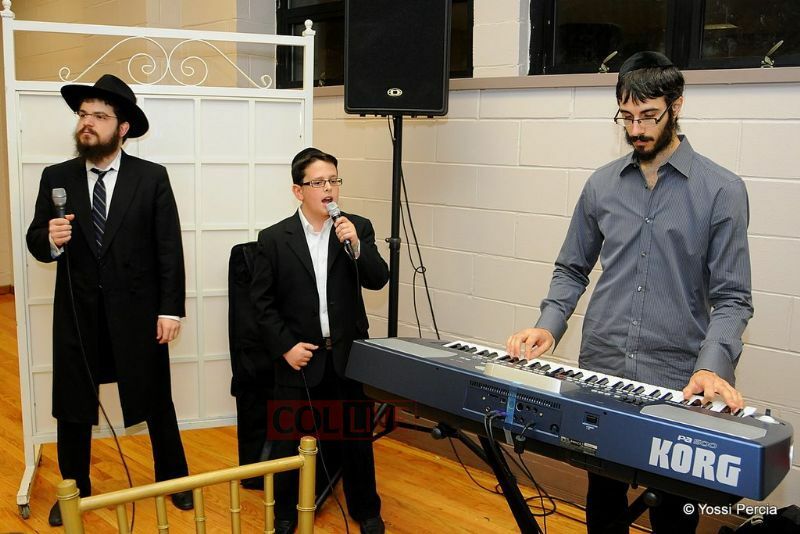 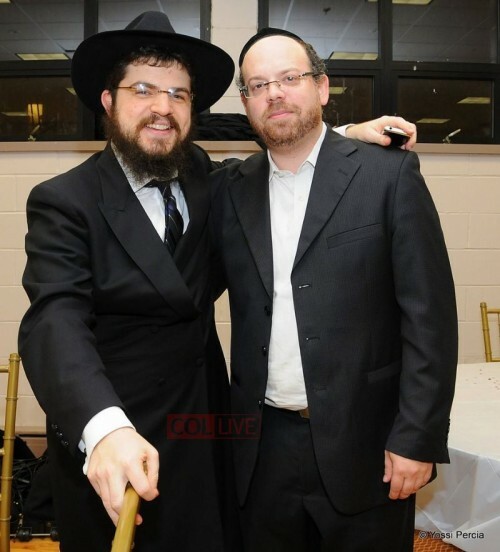 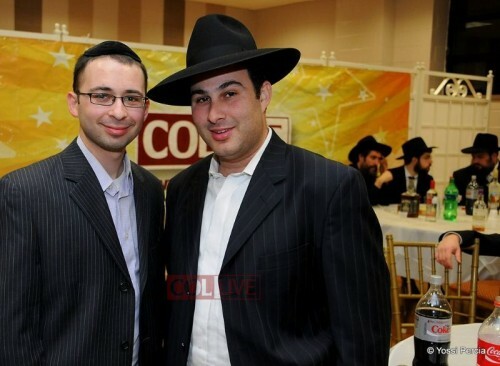 Also seen were Avremi G – arranger, Ian Freiter – engineer, Benny Taubenfeld and Hillel Hirsch from Sameach Music. 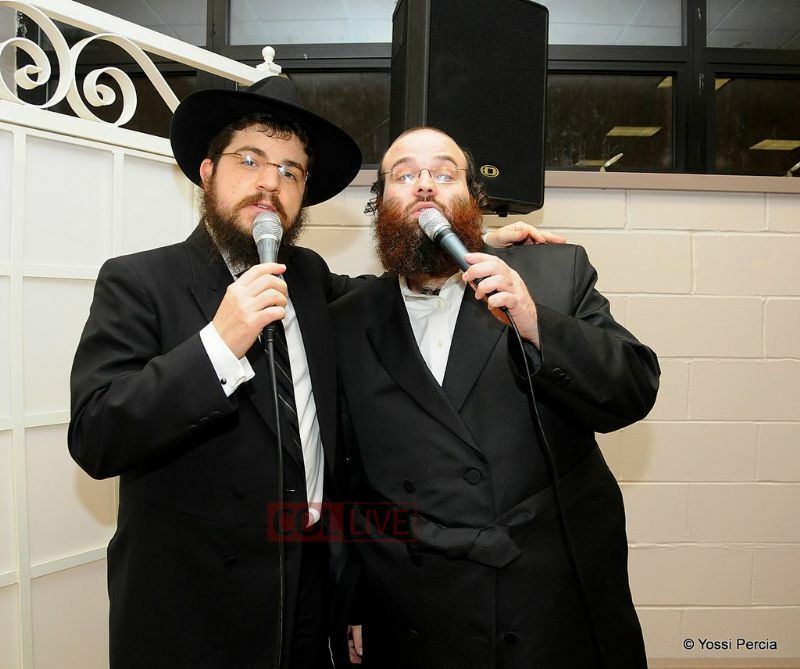 The CD entitled ‘Taamu’ is due in stores this week.